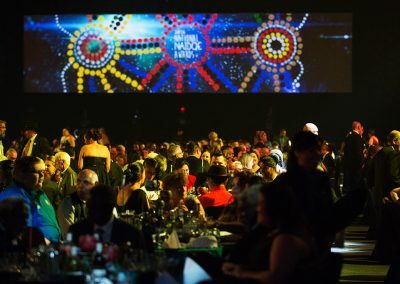 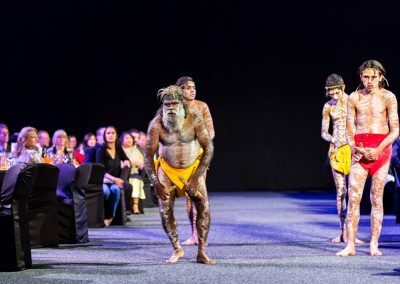 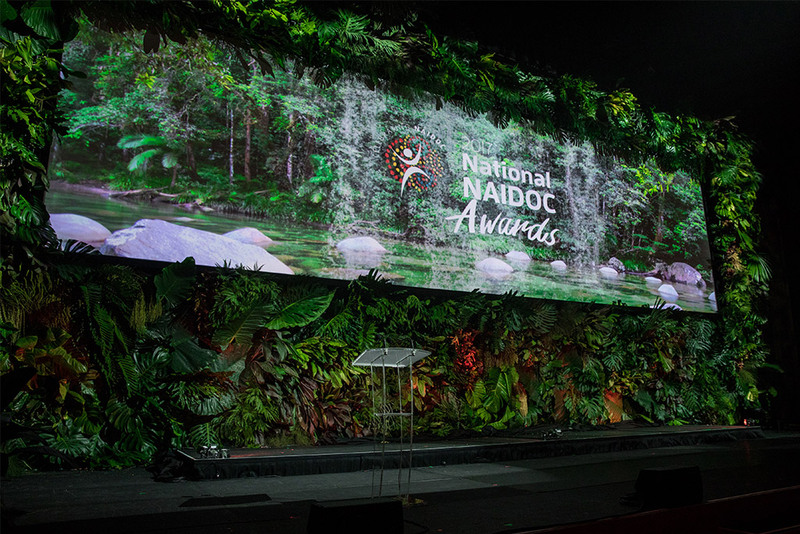 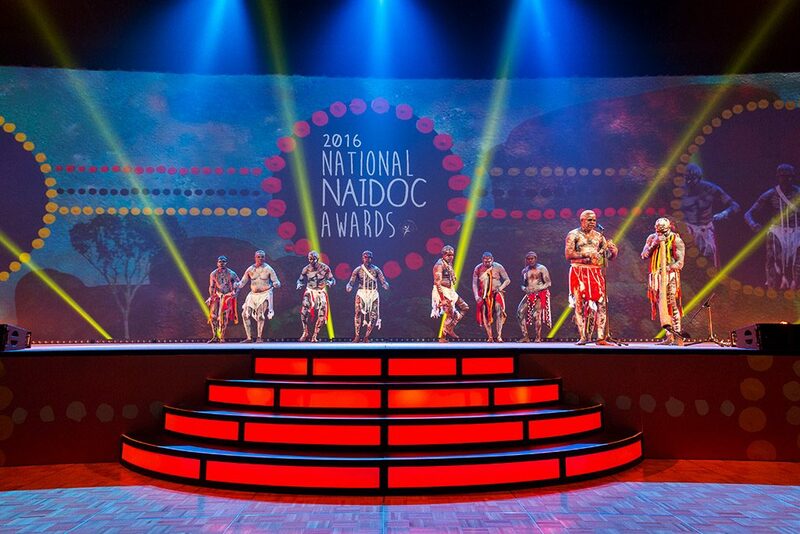 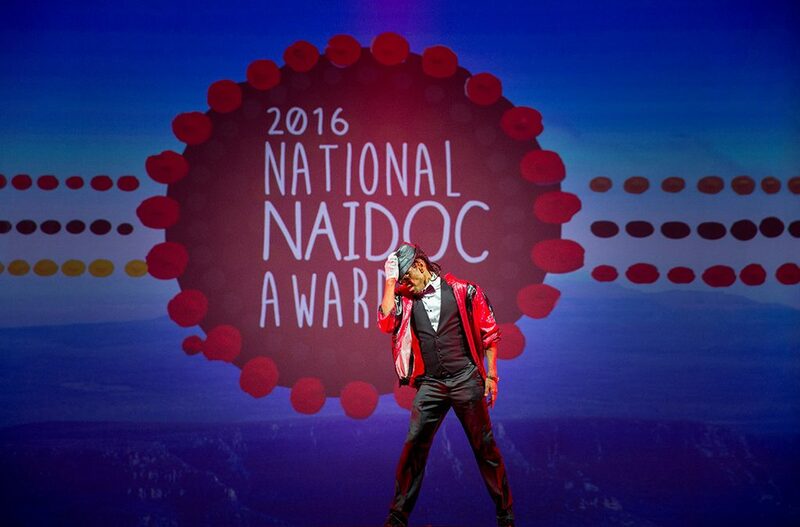 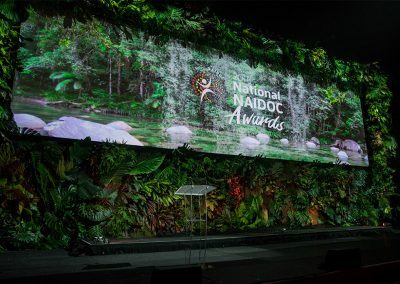 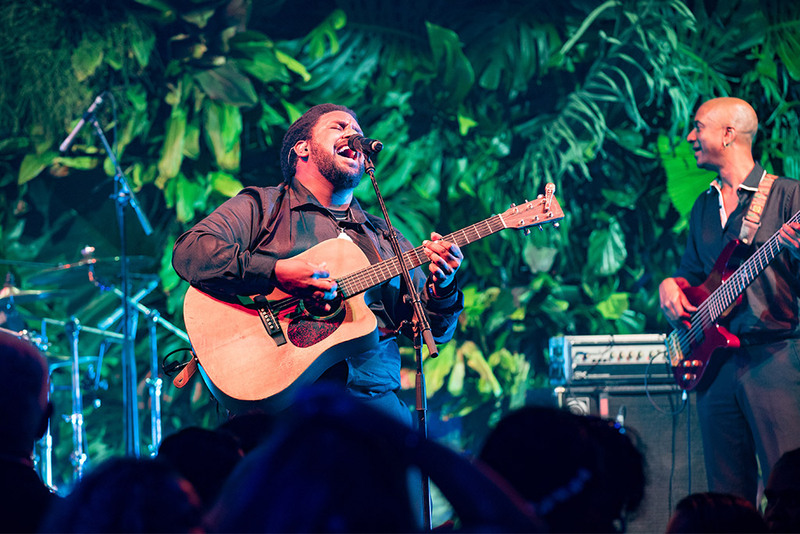 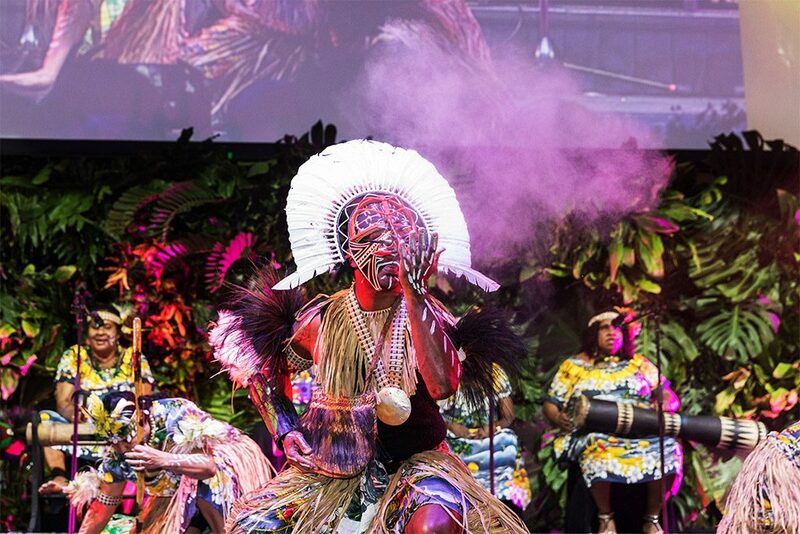 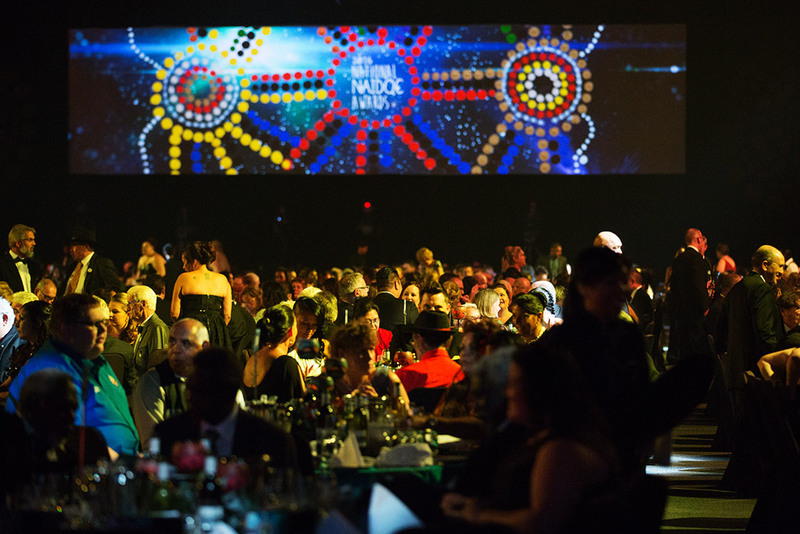 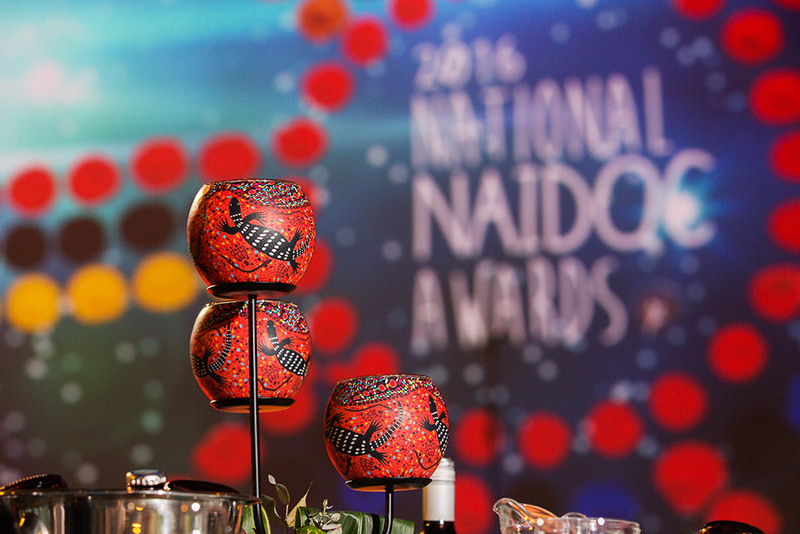 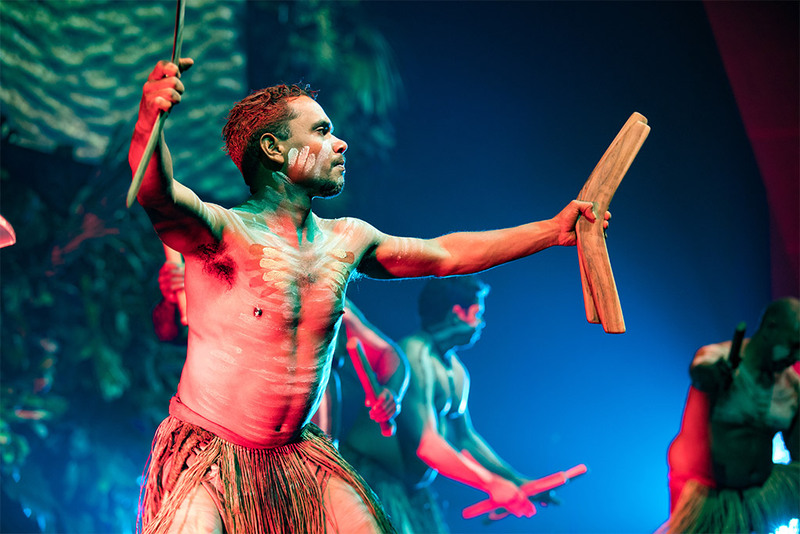 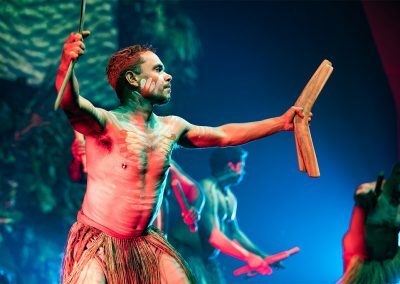 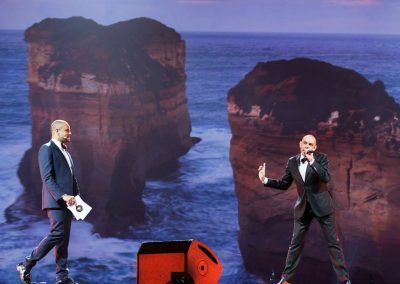 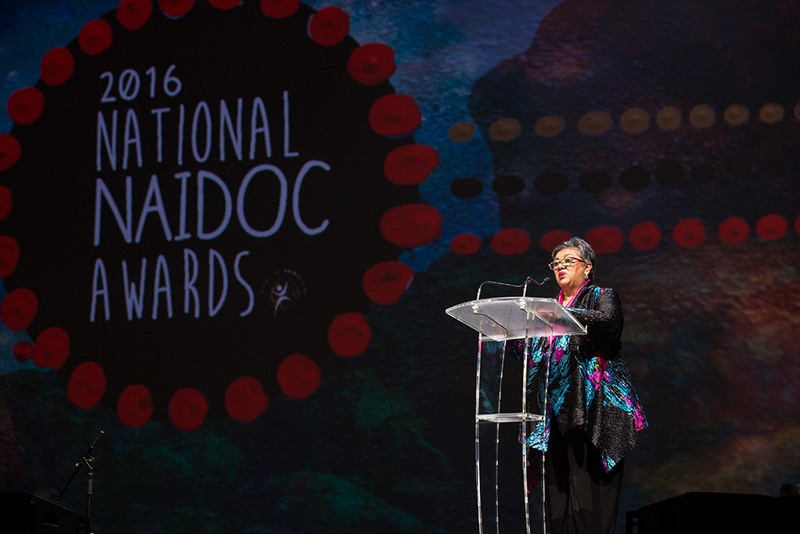 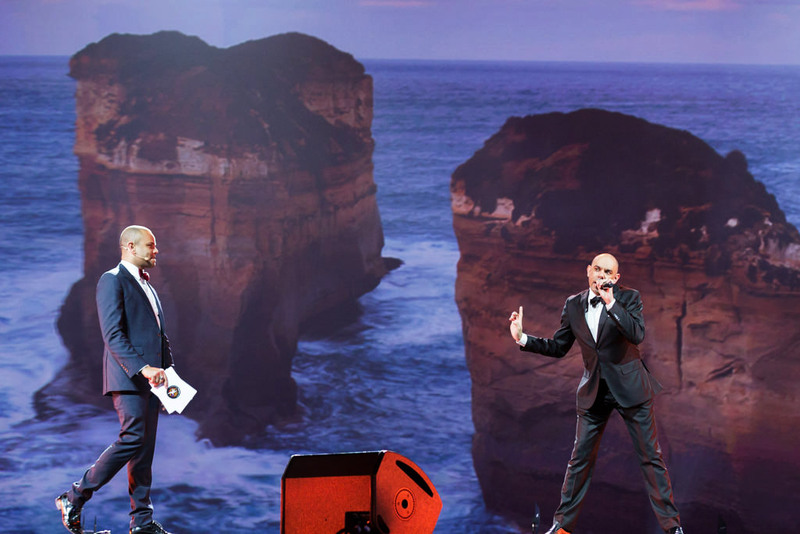 The annual National NAIDOC Awards Ceremony recognise the outstanding contributions that Indigenous Australians make to improve the lives of Indigenous people in their communities and beyond, to promote Indigenous issues in the wider community, or the excellence they’ve shown in their chosen field. 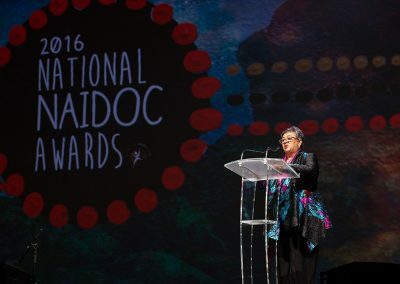 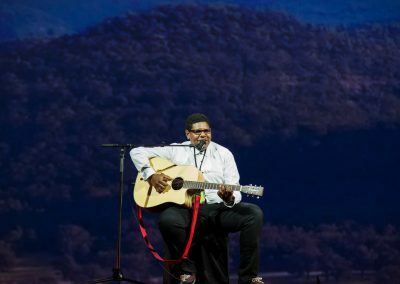 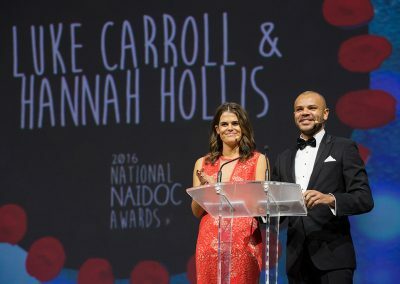 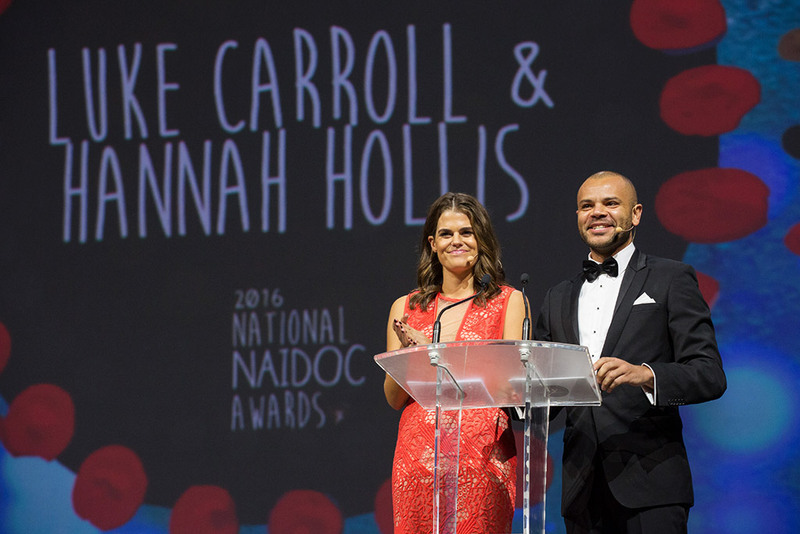 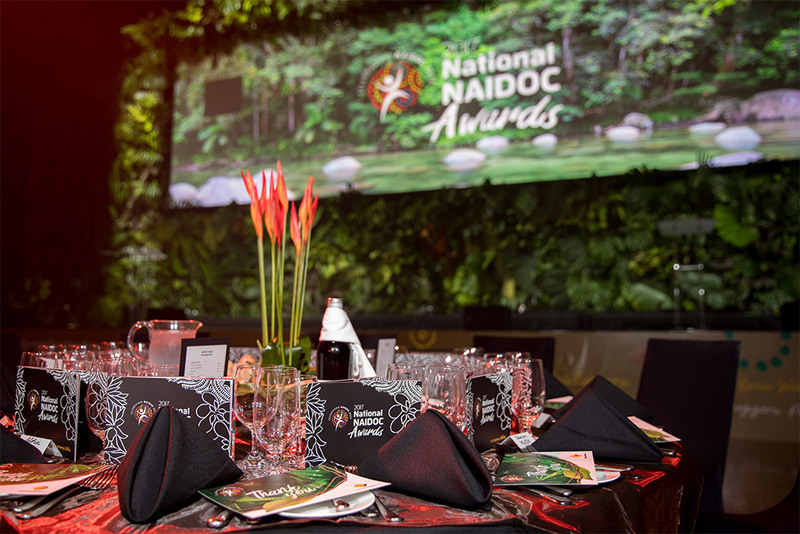 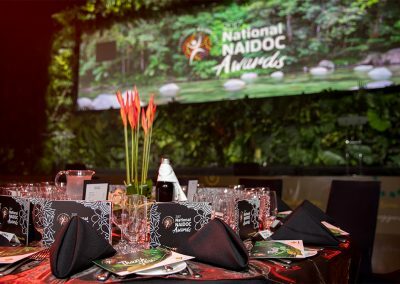 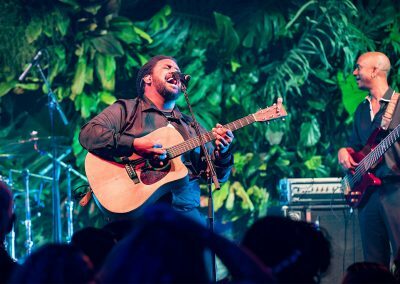 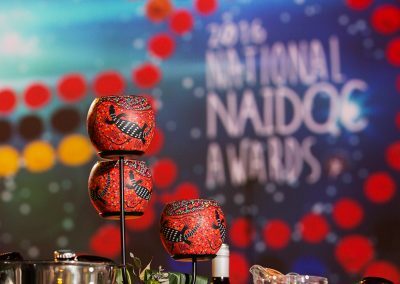 The National NAIDOC Committee congratulated ten outstanding Aboriginal and Torres Strait Islander Australians who were honoured at the 2017 National NAIDOC Awards Ceremony in Cairns. 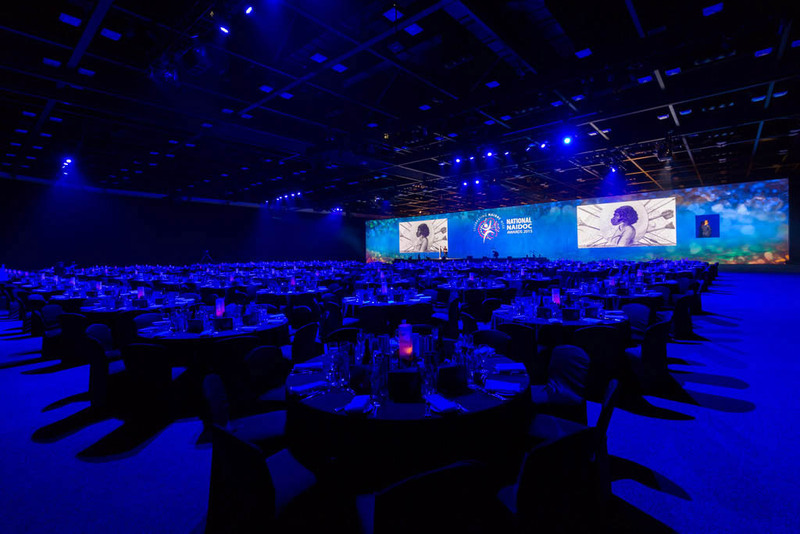 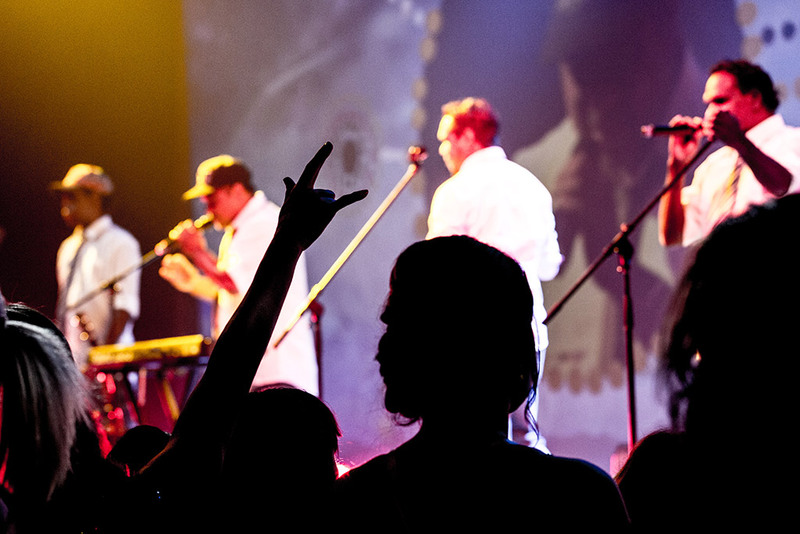 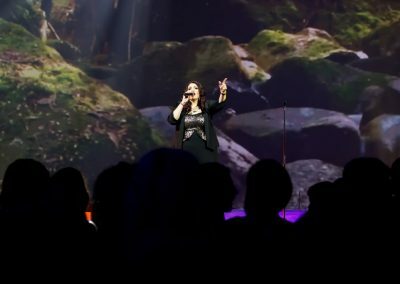 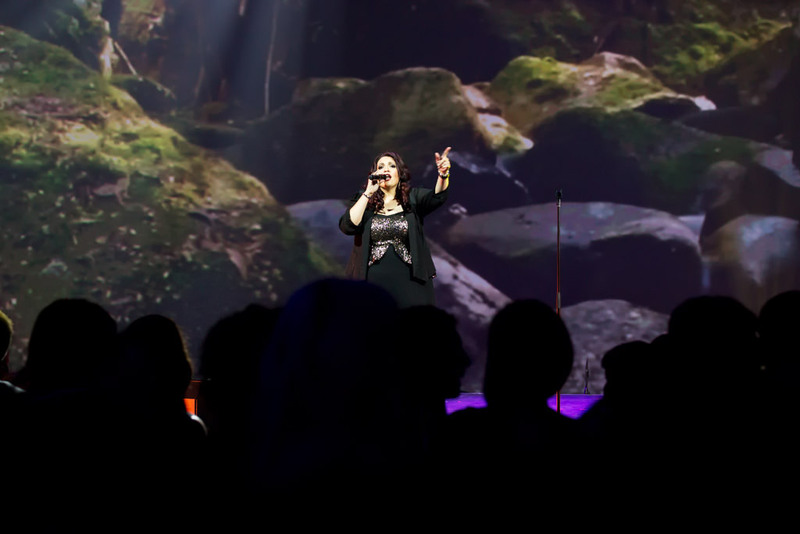 The venue was the Cairns Convention Centre which hosted over 1000 guests perfectly. Guests entered the main doors and walked down the red carpet and met with a photobooth and media wall but local and national media were also covering the event. 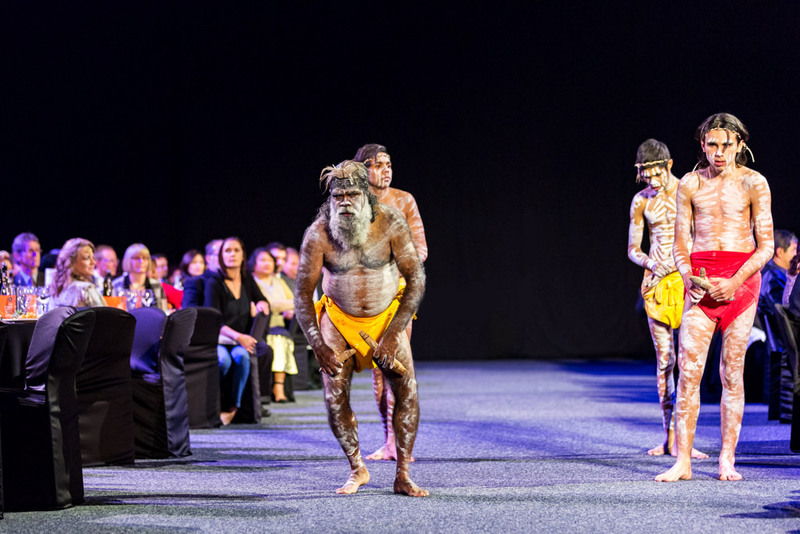 Event Photos were the official awards photographer in Cairns and were given an all access pass, which helps when an event has plenty of security and guests walking around the venue. 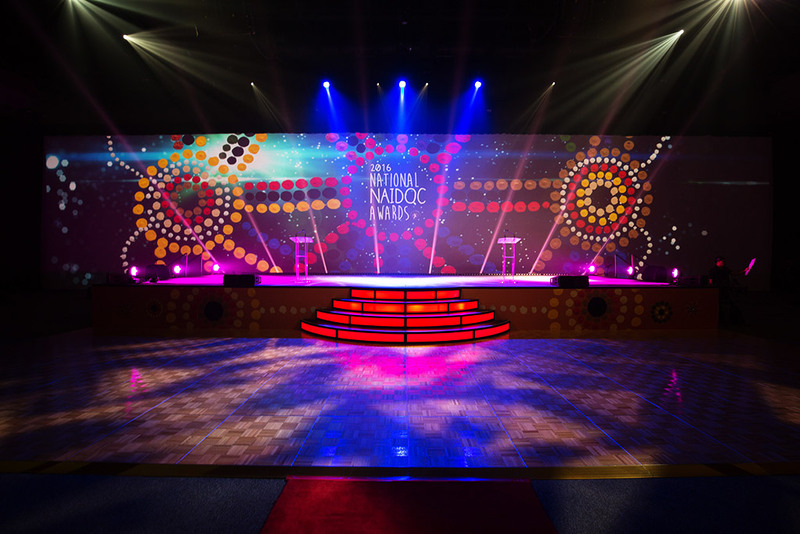 We also setup lighting for a media wall to capture the official award winners with their trophies and also the NAIDOC committee members. Award nights can be a stressful event for many event planners. 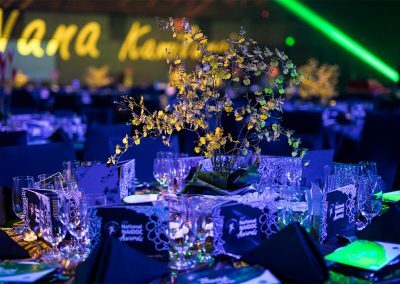 The many months of preparation, the judging process and making award winners can attend and for all to come together in one beautiful evening. 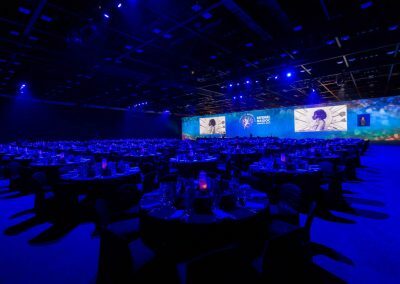 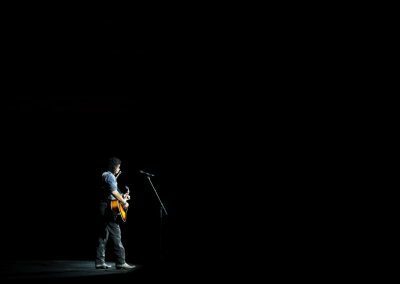 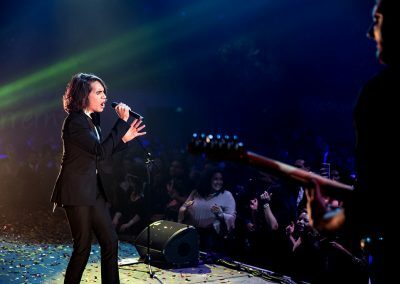 Our event photographers have covered hundreds of awards nights for the past 15 years and we like to think that your event photography is the last thing you need to worry about when it comes to capturing your special event. 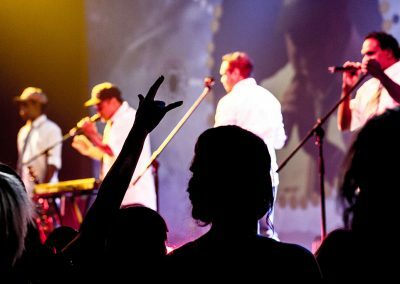 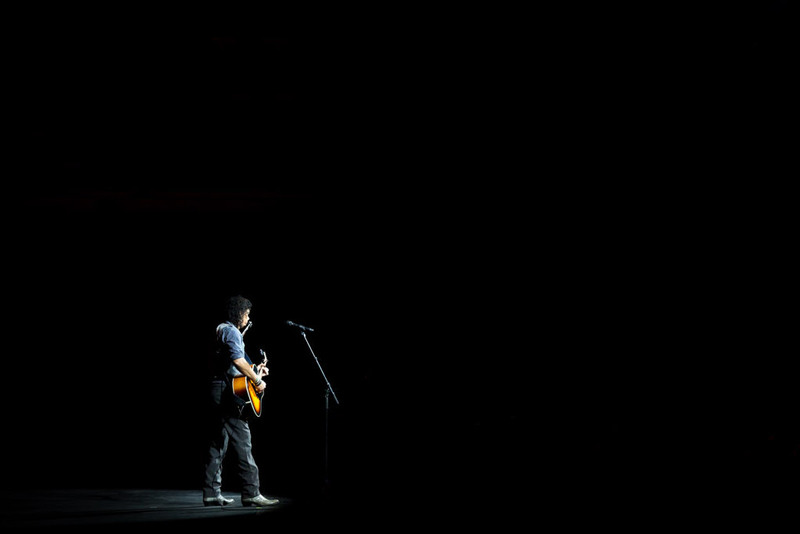 Capturing this experience through photography is a speciality that Event Photos pride themselves in. 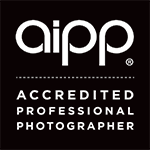 Need an experience event photographer for your next Gala or Awards Night?